World Breastfeeding Week is to raise awareness of the importance of breastfeeding. Join us in our support for breastfeeding mothers. Why? Because breastfeeding is a universal solution that helps every child start out in life on equal terms. It also improves the health, well-being and survival of the women and children of the world. This year’s slogan for World Breastfeeding Week, promoted by the World Alliance for Breastfeeding Action (WABA), is: Breastfeeding: Foundation of Life and it expands it by saying, “In a world filled with inequality, crises and poverty, breastfeeding is the foundation of lifelong good health for babies and mothers. 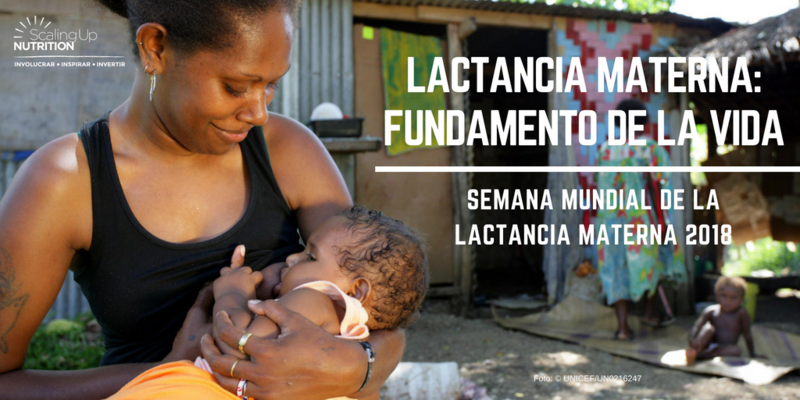 According to data from the Pan American Health Organization in the Americas region, 54 per cent of children start breastfeeding in the first hour of life, only 38 per cent are exclusively fed breast milk up to the age of 6 months, and 32 per cent continue breast feeding for 2 years. During World Breastfeeding Week the National Breastfeeding Commission recognised the public electricity and telecommunication company ICE, on behalf of the Ministry of Health and the National Breastfeeding Commission, for its work to set up breastfeeding rooms in workplaces. According to National Breastfeeding Commission data, only 21 per cent of children receive an exclusive diet of breast milk in the first six months of life. 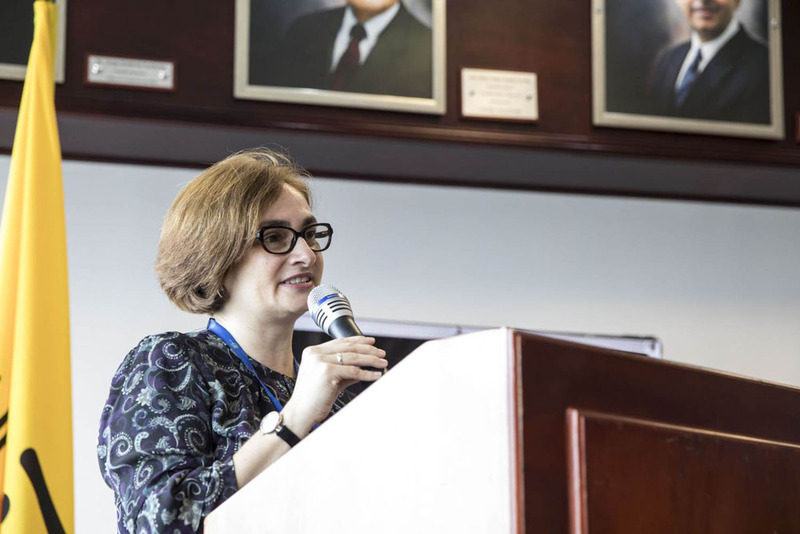 “This should make is think about the importance of changes in every social, political and cultural sphere to improve the indicators,” said Dr Laura Velázquez, Chair of the National Breastfeeding Commission. 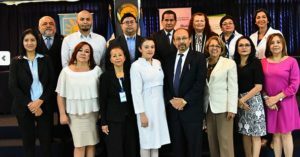 In addition, coinciding with World Breastfeeding Week, the formation of the “Breastfeeding Committee of Higher Education Institutions of El Salvador” was announced, made up of health-related specialists from the country’s higher education institutions and with the objective of coordinating efforts to strengthen the profile of breastfeeding as a cross-cutting theme in the university curriculum. 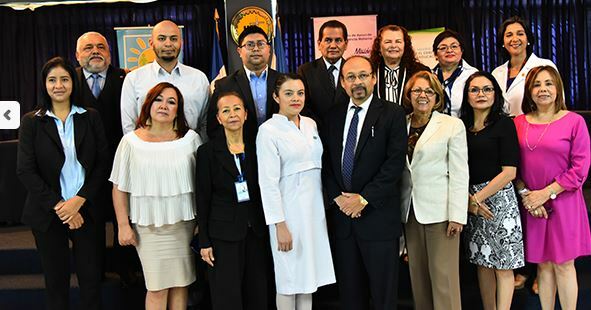 The dignitaries attending the event included: The Vice Minister of Health: Dr. Julio Robles Ticas, Member of Parliament: Blanca Flor Bonilla and Ana Josefa Blanco, Director of the Breastfeeding Support Centre, CALMA. Breastfeeding has become a top priority in El Salvador, as evidenced by the passing of a legal framework that ranges from the formulation of policy (2011), Law (2013) and its respective regulations (2015) on the Promotion, Protection and Support of Breastfeeding, which has encouraged the practice of exclusive breastfeeding in El Salvador and increased the breastfeeding rate from 31 per cent in 2008 to 47 per cent in 2014. The Secretariat of Food and Nutrition Security (SESAN) conducted a series of activities including forums, workshops, talks, walks and vehicle parades, with the participation of staff from the 22 departmental delegations and in coordination with other Government institutions and non-Governmental organisations. During the walks and parades carried out with SESAN staff taking part, celebration blankets were presented to take the message to the general public. Forums and talks were also held, on the importance of promoting breastfeeding for girls and boys from birth onwards, exclusively for the first six months of life and continuing after the introduction of solids through to the age of two years or older, which benefits child nutrition and development. During Breastfeeding Week, the General Hospital of San Juan de Dios, one of the most important in Guatemala, joined in with a “Breastfeedathon” Some 35 mothers took part in this initiative, organised by the Milk Bank, feeding their newborn babies to raise awareness of the importance of breastfeeding. The “Friends of Breastfeeding” initiative is being promoted in Guatemala, incorporating health centres, permanent care centres, maternity and child care units and hospitals. The United Nations Children’s Fund (UNICEF) and the Pan-American Health Organization (PAHO) have certified 11 Guatemalan Ministry of Health hospitals as “Friends of Breastfeeding”. 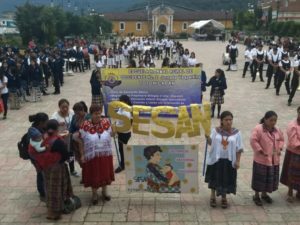 According to SESAN data on the occasion of World Breastfeeding Week, 63 per cent of children in Guatemala are breastfed during their first hour of life and 53 per cent of children under six months have an exclusive diet of maternal breast milk. The data also show, however, that the same number stop breastfeeding before 3 months of age. The Peruvian Health Ministry presented the mobile app “We are Breastfeeders” to inform the public about breastfeeding. The app answers the most frequent issues raised by breastfeeding mothers. 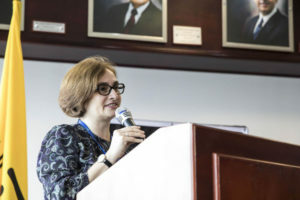 Deputy Minister of Public Health, María del Carmen Calle, highlighted that the “We are Breastfeeders” app gave mothers and the general public information about a natural act that protects babies from such conditions as anaemia, respiratory infections and malnutrition, among other diseases that can present when one is an adult. In Peru, according to the latest Demographic and Family Health Report (ENDES), the rate of breastfeeding of children aged under six months increased from 74.6 per cent in 2017 to 81.3 per cent in 2018.